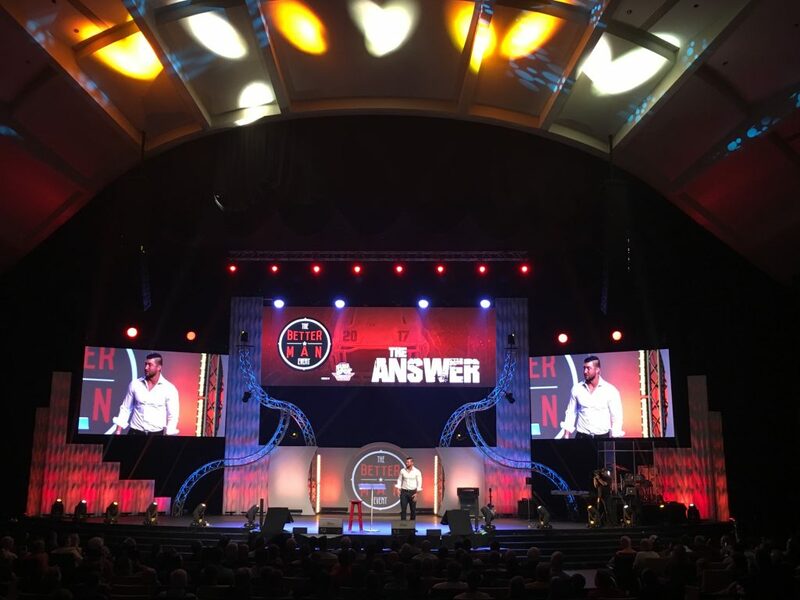 The Better Man Event is an annual 3 hour power packed Men’s Event designed to Equip, Encourage, and Engage Men to become “Better”. 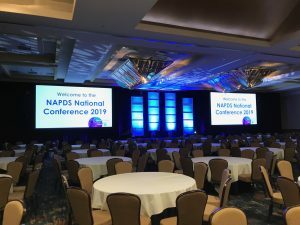 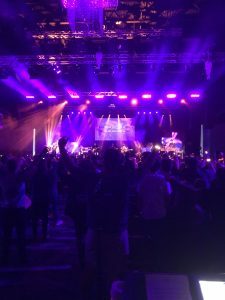 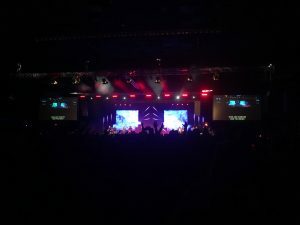 The show producer Anthony DeRosa met with the team at MABE and asked if we could design an original set for the event that could integrate into Calvary Church’s (Winter Park) hall and give it a very different look than their typical Sunday service. 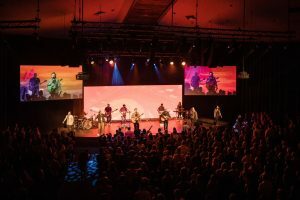 MABE integrated Calvary’s three LED walls into the design and provided, Audio, Lighting, Video Screen and Projection support for the event. 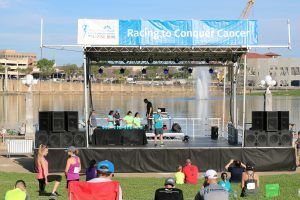 MABE was honored to be a part of the event and to work alongside Anthony and the professional crew and staff that he brought to the event. 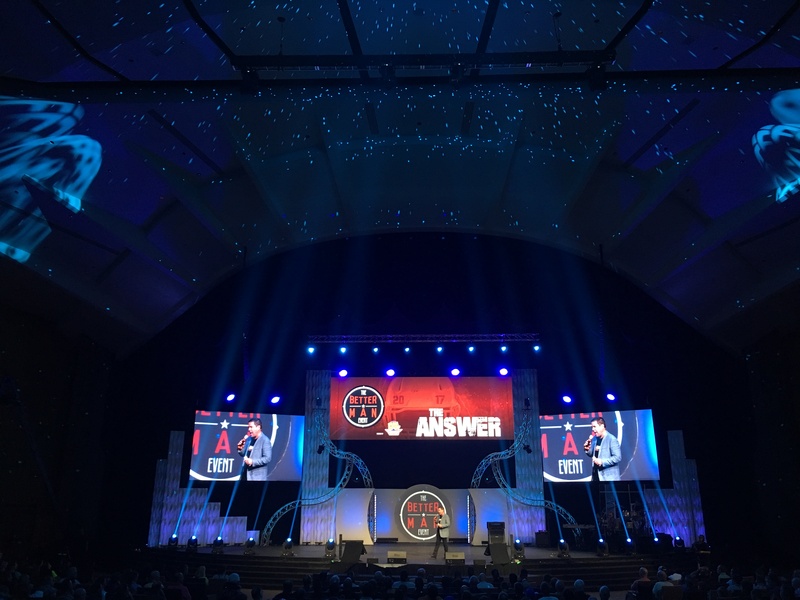 Speakers for this event included Former NFL player Tim Johnson, author and speaker Jim Munroe, as well as Heisman Winner Tim Tebow.